Visitors to a beach on Panmure Island spotted a small porpoise washed up on shore Wednesday afternoon. Visitors to a beach in Panmure Island spotted a small porpoise washed up on shore Wednesday afternoon. Carlos Baeza and his family found the porpoise and said it was dead when they arrived. 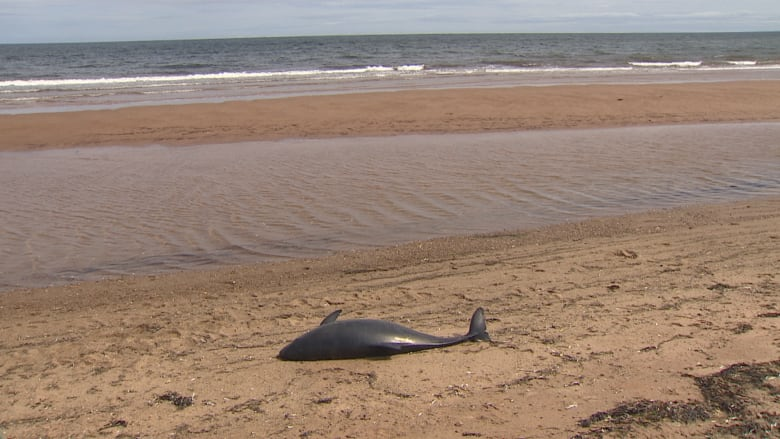 The Department of Fisheries and Oceans (DFO) said it removed the porpoise from the beach, and will be transporting it to the Atlantic Veterinary College. Officials at the college said wildlife pathologists will conduct a necropsy to find out what killed the animal. DFO advises that if anyone sees an injured, entangled or stranded marine mammal, to contact the Marine Animal Response Society (MARS) at 1-866-567-6277.